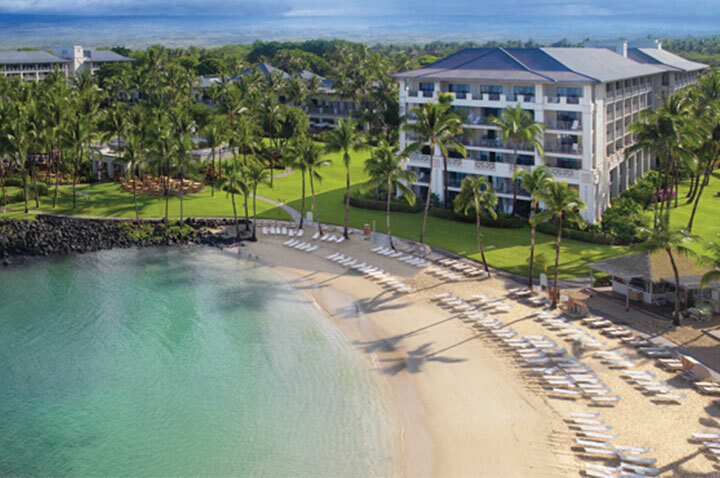 Claiming to get its inspiration from the culture, well-being and genuine aloha that its surrounding Hawaiian soil supplies, The Fairmont Orchid is one luxurious island resort that won’t disappoint. Located on the Big Island of Hawaii, the 32 acre stunning oceanfront resort is perched upon the beautiful Kohala Coast. Guests of the Fairmont Orchid can avail themselves of its onsite sandy lagoon filled with sparkling, cerulean waters, award-winning golf and tennis facilities, six delicious restaurants (including Brown’s Beach House, Norio’s Japanese Steakhouse and Sushi Bar, among others), and even a children’s program for parents to get a well-deserved date for themselves.